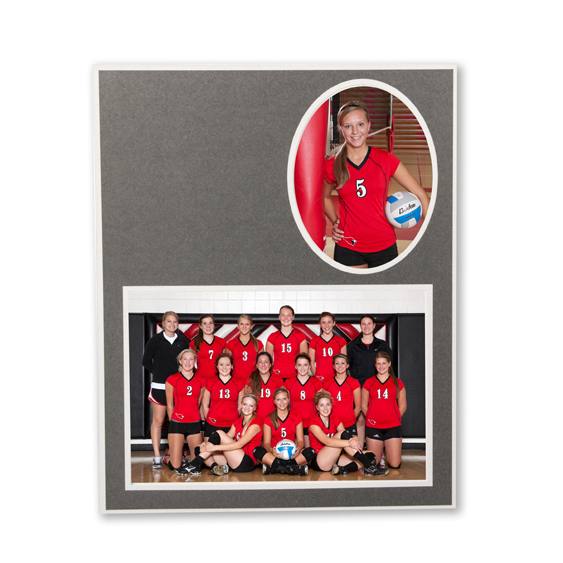 When you need a traditional memory mate, the TAP PF-42 memory mate has an option for a 7x5 team photo and a 3x5 individual photo. The neutral gray color is great for any color sports uniform. Perfect for figure skating, hockey, cross country skiing as well as any other sport.